On April 29th I went to Ecuador for 10 days to visit my daughter Shanti. When she was studying at Smith College she did her study abroad year in Ecuador and fell in love with the country. Upon her graduation in 2008, because of her passion for the Spanish language and for the Ecuadorian people, she decided to live there. She did not have a job but was certain she could figure it out. And she did. 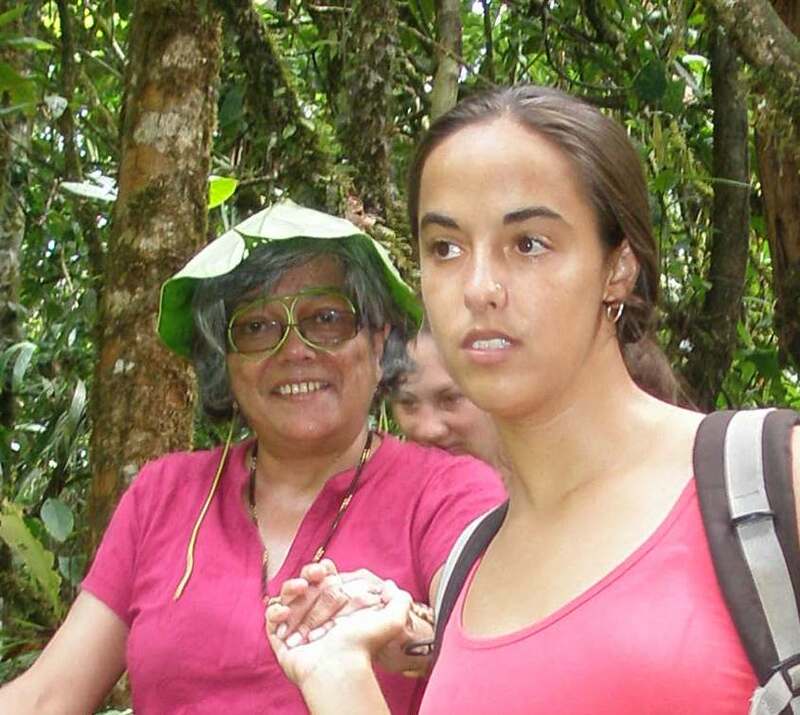 She has had a couple of jobs with grass roots development organizations since and is currently working with Kamak Maki, a community tourism project located in the Amazon Basin region of Ecuador. In the local Kichwa language “Kamak Maki” means “hands working together.” The program was started to preserve the ancestral knowledge of the indigenous Ecuadorian Kichwa culture through education about the culture’s rich historical traditions, as well as its present beliefs and customs. It is an ideal program for student groups wanting to stay for between three and five days – enough time to learn a little about the culture, take jungle hikes, and canoe or go tubing on the Napa river. I had a great time. The jungle hike was a four-and-a-half hours down to the river and its waterfalls and then back up again. The view was gorgeous and the hike was challenging. We waded across the river at a point where there were dangerous rapids (and I cannot swim – although looking at the rapids, I am not sure if that would have helped!). The force of the currents was so great that I could hardly keep my legs under me or stay on the rocks that we had to step on to get to the other side. With all the climbing up and down, my leg muscles were screaming for days after. My trip was wonderful because I met such warm people. They welcomed me into their lives and hearts. There were many cultural similarities to my Indian roots and the food was great! One meal – a 4pm lunch of slow wood-fire cooked Tilapia wrapped in banana leaf with rice and salad – was the best meal I think I have had in my entire life….and to top it all, we were sitting on a cliff overlooking the Napa river! I am very proud of my daughter who has worked to bring about lasting change in the lives of many with access to only minimal facilities. And in the Freitas tradition, has had fun doing it!